Silver market gains in June reversed three months of declines and jumped in the second quarter but, on the flip side, demand tumbled for bullion 2014 American Silver Eagles. Silver Eagle sales in June were at their lowest levels in over six months. Silver prices surged 12.7% in June and 6.6% in second quarter yet Silver Eagle sales tumbled below 3 million for the month for the first time since December. As for the precious metal itself, silver futures shot up 12.7% in June, aided by multiple small increases during the period. Those gains pushed the second quarter into positive territory with an increase of 6.6%. 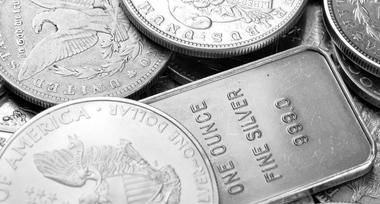 Silver for September delivery ended Monday, the final trading day of June, of the second quarter and of the first half of the year, at $21.06 an ounce. For the year to date, the white metal tallied gains totaling 8.7%. For the first half the year, gold jumped 10%, palladium increased by 17.4% and platinum advanced 7.9%. Across the sea, silver was also up as the silver Fix in London ended June at $20.87 an ounce. This equates to a monthly increase of $1.87 from its position at the end up May, gaining 9.8% in June. For the quarter, silver rose 4.5%. It logged a gain of 7% in the first half of 2014. Precious metals fixings registered year-to-date gains of 9.5% for gold, 18.7% for palladium, and 9% for platinum. Sales of bullion 2014 American Silver Eagles pulled back in June with just 2,692,000 sold. It marked the first time the 99.9% fine silver coins did not reach the three million threshold since sales ended early in December when the 2013-dated issues sold out. Sales for the bullion Silver Eagles through the first half of 2014 hit 24,128,500. For comparison, 2013 sales in the January through June reached 25,043,500. 2013 would go on to shatter the record books to attain the best year ever for Eagle sales with a total of 42,675,000. Prior to the June slump, 2014 was on track to break that record. Silver Eagle sales have actually been slumping since mid-May. Aided in large part by Arches National Park Silver Coins that launched on June 9, overall sales of America the Beautiful Five Ounce Coins advanced 21,400 last month. Of that amount, 18,500 can be attributed to the Arches coin. Shown below are the current sales for the 2014 America the Beautiful Silver Coins. The melt values of these silver coins are based on the London silver fix prices at the end of May and June 2014.